Inspire2tri was born from a passion for helping people to realise personal sporting and fitness achievements, whatever their starting point, goals, ambitions or their ‘life’ challenges. Starting life as a Limited Company, we converted to a Community Interest Company in January 2016, locking our assets for charity and operating not for profit. 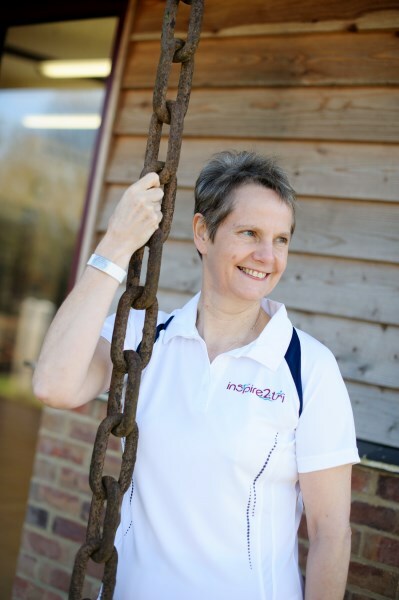 Led by Mary, Inspire2tri strives to provide a friendly non-threatening and enjoyable environment for the novice, older or rehabilitating exerciser, as well as creating an up-tempo supportive partnership for the seasoned competitor that will challenge both your body and mind to strive for the next performance level! Our Active Rehabilitation classes for both private clients and those on the Exercise Referral scheme are very popular and our new state-of-the art Endless Pool for Swim Coaching, Underwater Treadmill Walk/Run & AquaticTherapy alongside the studio barn is going from strength to strength. In Spring 2017 we were awarded a grant by Sport England to purchase a hoist, walking rails and in-water bike to be able to offer the first ever in-weater triathlon experience for those with constraints or disabilities that would make it impossible to complete a conventional triathlon. In the summer of 2018 we built a Friendship Garden alongside the studio with a grant from AVIVA and it's not a beautiful place to sit and relax before or after class. There truly is something for everyone at this beautiful private studio that I think of as "home".